Nestling in the dip of the Watanay River Valley, from above the city of Cusco takes the shape of a puma, which some historians theorize was a purposeful design. As the city expands, its borders creep up the sides of the surrounding mountains, but puma statues, fountains, and signs keep the big cat’s status of unofficial city mascot. Though a popular “travel guide myth” is that Cusco means, in the Quechua language, "belly button of the world," this is a misnomer: the word actually derives from the Quechua word for a large bird or owl, or more fully, “rock of the owl.” This refers to an ancient legend of the founding or creation of the city. In its day, however, Cusco was very much the “belly button” or center of the great Inca Empire, which stretched across South America from Northern Chile to Colombia. Cusco is famous for its curious blend of Inca and Spanish culture, most evident where colonial Spanish churches and convents have been built squarely on top of masterfully constructed Inca walls, such as Qoricancha (or Coricancha), the Inca temple poking out from under the colonial church of Santo Domingo. Despite the Spanish colonists’ best efforts to pillage the city of its Inca riches, they failed to completely destroy the massive network of Inca stonework, which continues to withstand both time and the elements while the Spanish buildings crack and crumble around them. 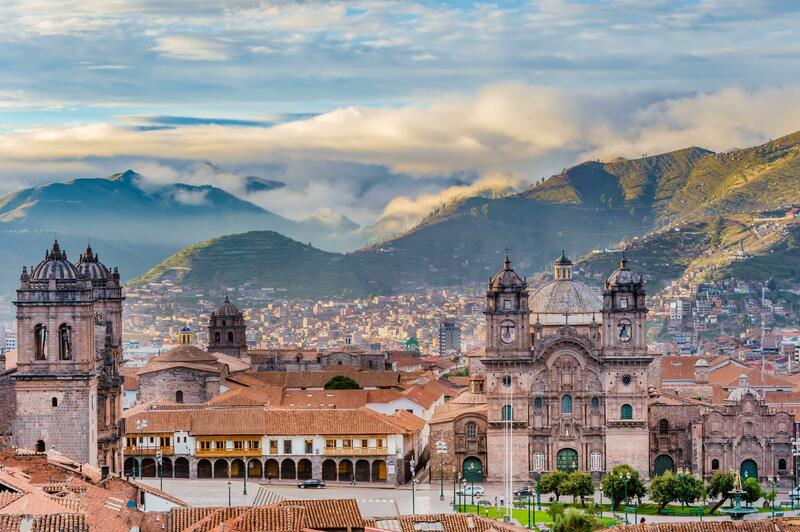 It’s no wonder that droves of travelers visit the city every year; with its numerous Inca temples, colonial churches, and vibrant plazas, Cusco has so much to offer. Aside from the archaeological and religious sites of interest, Cusco is home to a multitude of quality restaurants, bars and cafes, offering an array of local and international drinks and cuisine. Most of the major Cusco sights, including the Plaza de Armas, Qoricancha, La Iglesia de la Compañía de Jesús, and La Catedral, are within walking distance of one another and can be covered in about half a day, and it is worth devoting a decent amount of time to browsing the various shops and markets encountered along the way. Visitors might even be lucky enough to be in town during one of the many religious and cultural celebrations, for which the city’s streets fill up with music and dancing. "Every aspect of Cusco tour, tour of Sscred Valley, and Machu Picchu were excellent in every aspect. Wonderful reps and guides. Personal service. " Every aspect of Cusco tour, tour of Sscred Valley, and Machu Picchu were excellent in every aspect. Wonderful reps and guides. Personal service. The "Anywhere team", did a great job in organizing all of our trips and events. Whenever we had questions they were always available and ready to help. The event was as advertised. Every member of the team was very kind and had great travel tips. I would recomend this agency to others. Very charming colonial city and the former capital of the Inca Empire. Many sites and museums. Good restaurants. Launching point for visits to Machu Picchu and the Sacred Valley. Overall an amazing experience in the Sacred Valley, Machu Picchu and Cusco. Melissa and our driver Jeffery stood out as exceptional. I really enjoyes the Cusco area. I feel very safe here and there are so many streets to explore.